When I was a child, I went on a school trip to Canada. One of the many stops on the trip was the Pantages Theater in Toronto where we saw a wonderful production of Andrew Lloyd Webber's The Phantom of the Opera. As I walked into the elegant main theater of the Beacon to see the Decemberists on Monday, the ornate frescoes and exquisite sculptures that lined the theater whisked me away to the fourth grade and the melodramatic wonder of my first major theatrical production. The Beacon isn't simply gorgeous; it's a masterful execution of mood and atmosphere and Renaissance revivalism. 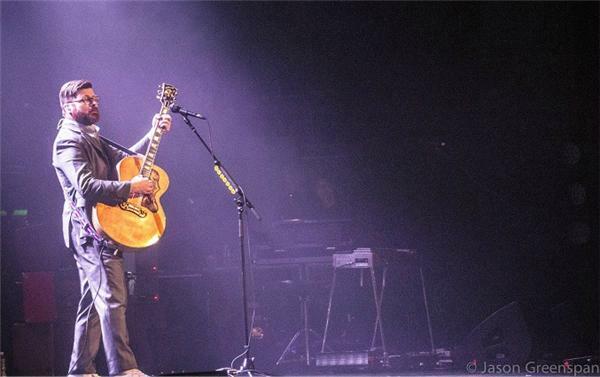 I'd never been before that night, and when I saw how gorgeous the theater itself was, the thought of a rock band playing that stage became comical. 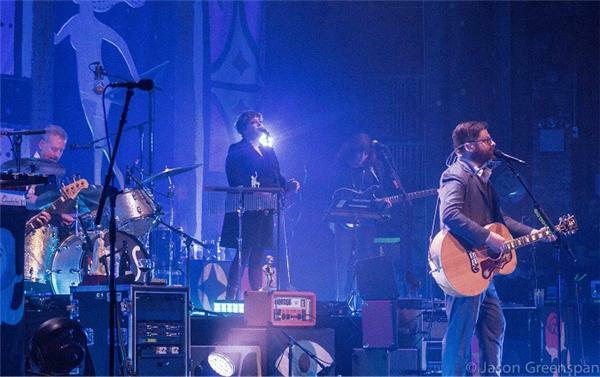 The Decemberists aren't your typical rock band, however, and they were born for stages like this. Before the show began, I'd been observing the tattooed, middle-aged lesbian couple that had been sitting in front of me in the orchestra section of the floor. The crowd was overflowing with middle-aged fans ($50 tickets tend to keep the youngest at home), and I asked the couple why they connected with the Decemberists. Their answer didn't surprise me. "They sound old," one of the ladies said. "Like something from Gangs of New York." They'd discovered the Decemberists later in the band's career -- circa The Hazards of Love -- but they were immediately drawn to the band's fusion of folk, country and hyper-literate storytelling. That was what had drawn me in as well, and I arrived at the band even later than they did -- The King Is Dead was my point of entry -- and it was weird meeting fans of modern music in their late 50s, but it shouldn't have been. Because over the course of seven LPs over 13 years, the Decemberists have proven themselves to be a timeless band. The Decemberists have a reputation as "English major" rock, and it's not entirely undeserved. You don't write 18th century sea shanty music or songs about Japanese folktales or retellings of the Siege of Leningrad without indulging in a little intellectual gamesmanship. But, Monday night, the Decemberists put any concerns I had in regards to their potential pretentions to bed. 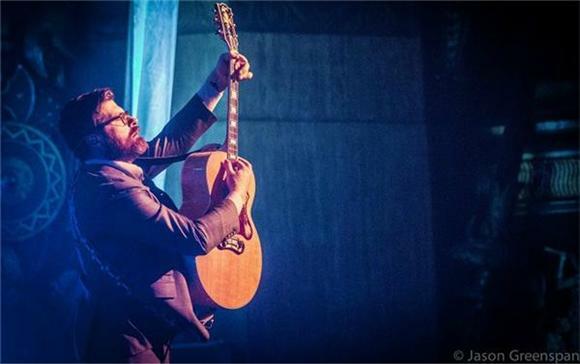 One of my fellow writers joined me at the show, and as Colin Meloy discussed an infinite loop of more attractive faces in the audience, my writer turned to me and said in a somewhat thick Long Island brogue, "He's so smart. Like, he's so smart it's almost annoying." Colin Meloy is so articulate and passionate about his singular interests that he can't help but bring them out in his music, and I wouldn't want it any other way. The Decemberists are currently touring in support of their wonderful recent record, What a Terrible World, What a Beautiful World. That album -- and to a slightly lesser extent, The King Is Dead as well -- represents an anomaly in The Decemberists' studio career. It's their most shamelessly modern album that doesn't quite veer entirely away from their folk-country roots. But it finds the band embracing rock more than ever before. Most bands feel older the longer they stick around, but The Decemberists started out in the 1700s, and now they only get younger. And that rock sensibility led to the greatest surprise of the band's spectacular two hour set at the Beacon. 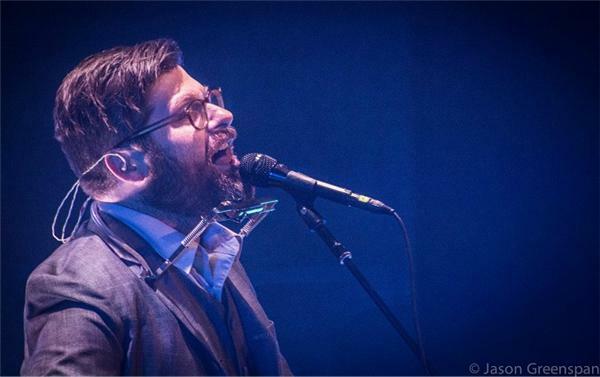 The Decemberists can not only rock in a live setting; they can rock hard. The show never quite reached head-banging status -- although our writer said he wanted to joust to "A Bower Scene" which went to medieval folk-metal heights -- but The Decemberists are a lot more than lyrical mental masturbation. Meloy and crew are accomplished multi-instrumentalists, and even if Colin Meloy were half the lyricist and storyteller that he's proven himself to be, the way the Decemberists let their hair down live and really have some fun with their arrangements is more than worth the price of admission. Also, their shows traditionally end with the band being eaten by a cardboard whale during "The Mariner's Revenge Song." Can you really ask for more? 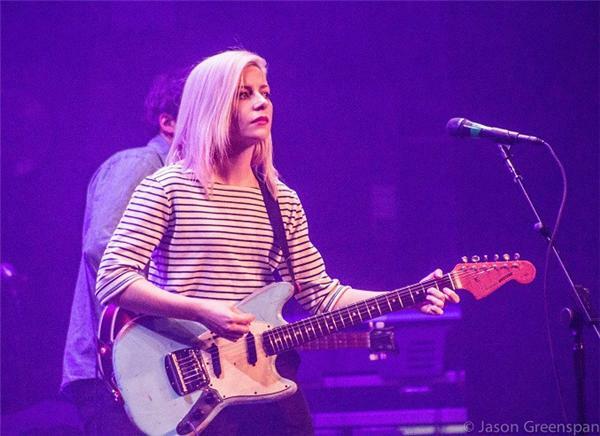 Openers Alvvays still strike me as an odd choice to play with their Decemberists. 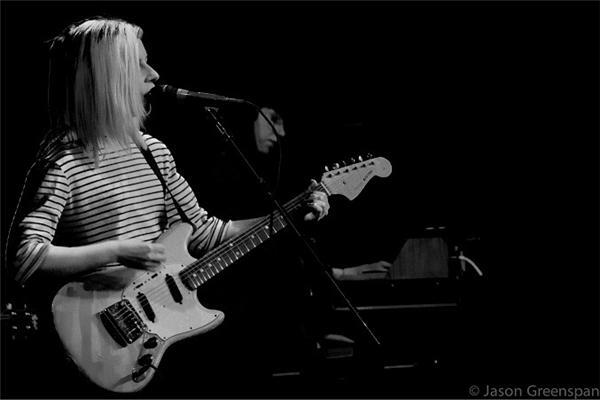 I adore their garage-pop/shoegaze/dream pop aesthetic, and by the end of their set, I was absolutely ready to hear more from this young band, but they are also a young rock band opening for the band that sings "Calamity Song" which is one massive love letter to David Foster Wallace and Infinite Jest. 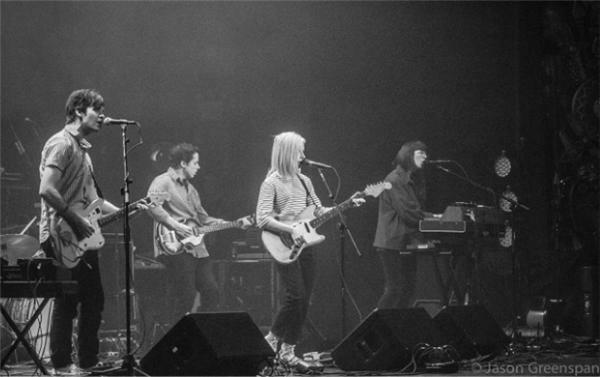 Regardless of my reservations and concerns about odd genre pairings, Alvvays acquitted themselves with utter aplomb. My final thought as I shuffled out of the Beacon and made my way to the 72nd St. station to catch the 2 (and then the N at Times Sq.) was that a Decemberists concert isn't a "show." It's an experience. 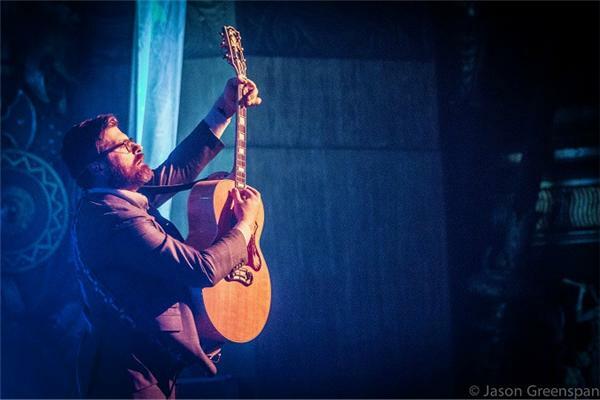 Colin Meloy orchestrates not only the intricate but ever-shifting sound of his band; he directs the audience in increasingly elaborate call & response sessions -- just like the lead on an old-fashioned boat directing a shanty. 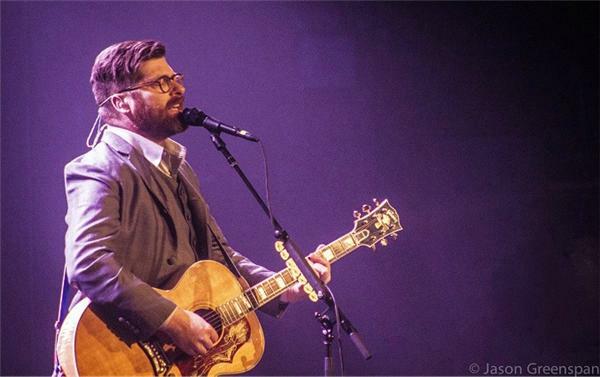 You don't walk away from a Decemberists show having only heard the band's songs. You participated in a communal exercise of the beauty of live music, and I'll be sure to catch the Decemberists again the next time they stop in NY.